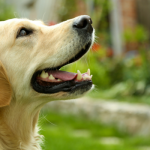 Dogs have a diverse vocal communication system, and studies have found that they’re capable of meaningful communication with not only other dogs, but with humans as well. 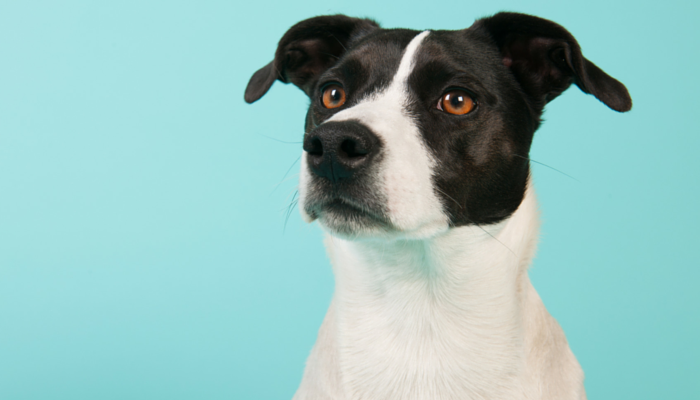 If you live with a dog chances are you’re quite familiar with their different barks. And research has found we’re pretty good at deciphering the difference in meaning behind those barks, at least when it comes to our own dogs. But what about growling? How much information can we get from one single growl? Research has found that dogs are definitely able to determine the size of a dog based on his growl alone. And a similar study found that humans have the same ability. In the study on dogs estimating size, the subjects were sat down next to their owners. The audio of growls, from dogs of different sizes, was played. Different images would be displayed in front of the dogs — different sized dogs, a cat, or a triangle. When the growl from a big dog was played the dogs would stare at the photo of the larger dog for an extended period of time. When the small dog’s growl was played they’d stare at the smaller dog. To check for accuracy the images of a triangle or cat were also shown, and the dogs showed no visual preference. They’d just look off to the left – showing their previously found hemispheric preference when confronted with the unfamiliar. When a dog is growling he’s not lying about his size, and that determination helps dogs make the determination on whether to confront the other or step away. This study not only found that dogs are able to determine a dog’s size based on his growl, but that they’re able to match images with the correct audio representation. This complex cognitive ability was previously own shown in primates. Other research has shown that dogs have a left/right preference when it comes to being confronted with familiar vs unfamiliar settings. When faced with something unknown they tend to wag their tail to the left, while in familiar settings it wags to the right. In the growl study dogs that were shown images of cats or triangles, photos that didn’t match the noise they were hearing, looked to the left. 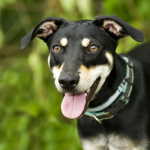 Can You Decipher A Dog’s Vocalizations? 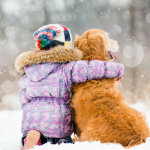 In studies humans (adults and children equally) are able to guess a dog’s emotional state by his bark above chance level. And that accuracy increases in experiments performed with a familiar dog. When it comes to growls we’re not quite as good as our canine companions, at least not when it comes to deciphering the meaning. 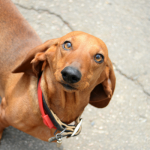 How Well Do You Know Your Dog’s Barks? It’s amazing how many different sounds Laika makes, and how much information I can get from one simple sound. I can tell when she’s on alert, when she’s excited, and I always recognize the “I’m grumbling – not barking sound” she gives off after I tell her to quiet down. How many of your dogs barks can you recognize? Is it easy to tell what sort of mood they’re in from vocalizations alone? I’ve never thought about a dog’s growl and the dog’s size. Zoey is our smallest dog and she sounds like the Tasmanian Devil cartoon character when she growls sometimes. Sydney, our largest dog, has a deep low growl. But I do know our dogs barks and what each one signifies. I love that I know this.